We all know that TNA made its debut on Destination America, just under 2 weeks ago. You know what they say about a bear shitting in the woods. It had been rumored that the Impact brass made a big play to bring in former WWE star Alberto El Patron (formerly: Del Rio), offering big cash for a limited number of dates. I just saw a screen grab from the Wrestling Observer forum, where Dave says ADR was offered a cool $400k to work a very limited number of dates. He chose ROH and Lucha Underground instead, which should tell you all you need to know about how the boys in the business view TNA. I like Del Rio. He’s as technically sound as they come in the ring. For my money, he’s Mexican Bret Hart – excellently executing just about everything he does, and having good matches with the worst of opponents. WWE could pay him double what TNA offered and be short-changing him. But for TNA, that would have been $400k very, very poorly spent. Let’s face it—with the exception of Kurt Angle, it has NEVER mattered what former WWE stars TNA had brought in. It has never mattered how much they spent to bring in top talent. It NEVER moved the needle. It never sparked significant pay-per-view buys. It never made the company look like anything more than WCW Thunder, with a six-sided ring. After 2 years where we’ve seen TNA cut top talent due to budgetary reasons, I’d think they could take the money they were going to pay Alberto, and pad their roster with some amazing free agent talent. Even though WWE has snatched up a good amount of indy talent over the last year or two, there’s still a lot of guys who would kill for weekly TV time, a little bit of guaranteed money, and the openness to work indy dates, too. 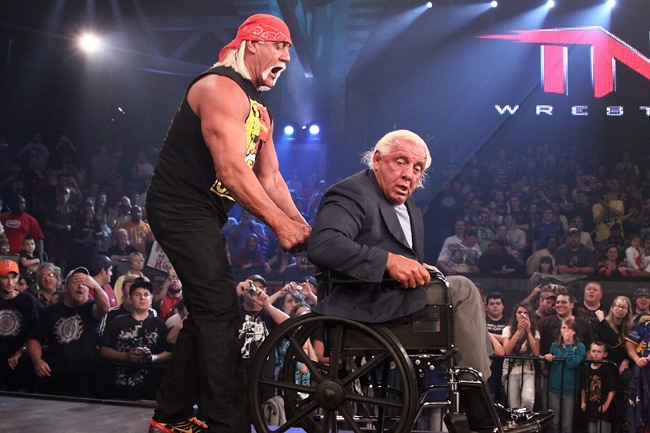 Here’s 10 suggestions, my free scouting report to TNA. Oh, by the way? You could offer me about a quarter of that to come in and work with TNA, logic-checking your shows. I’ll be bald, gray and borderline crazy within a year, but it’d be money well spent. Alberto del Rio, Anthony Nese, Bravado Brothers, Chikara, Chris Hero, Chris Sabin, Chuck Taylor, Colt Cabana, Destination America, DGUSA, Eddie Kingston, Impact Wrestling, Jigsaw, Kaitlyn, Rubix, TNA, Trent?